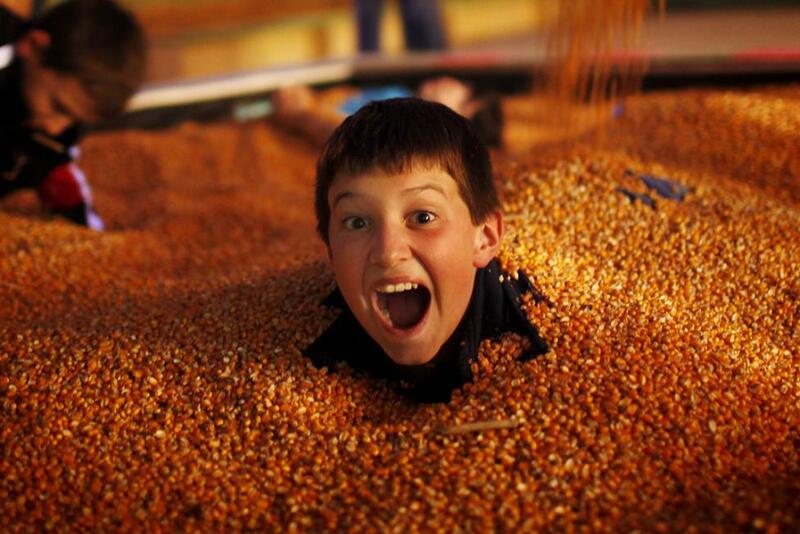 Boyette&apos;s Family Farms Inc. has farm fresh fun for the whole family and for all ages. Johnston County locals and visitors have been traveling to Clayton, NC to experience hayrides and haunted houses at Boyette&apos;s for many Autumns now. This year is no different. 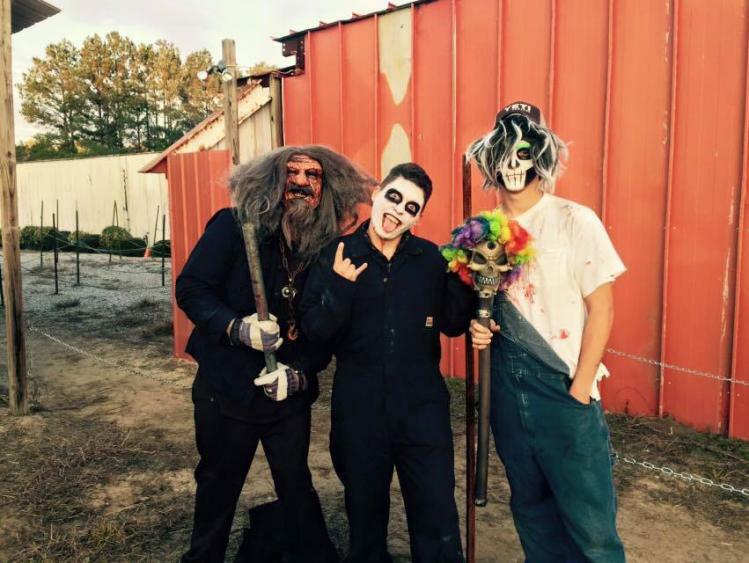 The Clayton Fear Farm has been run by Boyette Family Farms for years and is the Triangle area&apos;s only scream park. This means that the Fear Farm isn&apos;t just a haunted house or maze, but a spooky destination with 7 uniquely terrifying haunted attractions. You could spend hours being scared to death! A recent conversation with owner Anna Boyette revealed all the things that Boyette&apos;s has planned for the season, starting the first weekend in October, "the activities are split into daytime and nighttime with the more kid-friendly things taking place during the day. 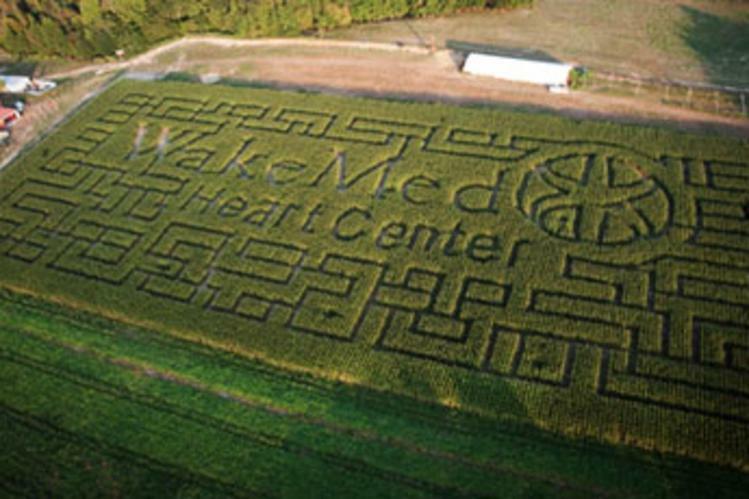 We have a pumpkin patch for kids to pick out their own pumpkin, a corn maze (a previous year&apos;s maze pictured below), and a hayride that transports you around the farm. In the evening, we have 7 spooky attractions." Not recommended for the faint of heart. While there is no age restriction enforced at Clayton Fear Farm, Anna recommends the scarier stuff at night for 13 years old and up. That&apos;s not to say that the evening Fear Farm hours are for all adults. "We don&apos;t have a chicken refund," Anna says, mostly joking. Truthfully, she says that the fear factor of each part of the farm depends not on how scary Boyette&apos;s makes their haunted horror attractions, but how afraid you are of certain things. Clowns, zombies, ghosts, serial killers, darkness... you can pick your poison. Will it be the dark corn maze, the spooky woods, the terrifying school house, or a trip into a black hole? Be sure to bring your friends along, if you bring enough there’s a group rate. Ticket pricing lets you pick a little scare or a whole lot of terror; tickets are available for all attractions or on a per attraction basis. You can learn more about all of Boyette&apos;s Fall activities by visiting their website; the site has links to the Facebook pages for each event the farm offers - the daytime and evening Fear Farm events have separate pages. Anna mentioned that the vineyards side of the Boyette operation is no longer offering pick-your-own or selling grapes to the public. However, Lights on the Neuse will still be happening this year starting the day after Thanksgiving and going through Christmas Eve. Lights on the Neuse includes beautiful holiday light extravaganza hayride, meeting Santa, and even cookie decorating. It&apos;s a farm full of fun at Boyette&apos;s this time of year. Check it out for yourself. And for more holiday events in the area, visit the Johnston County Visitors Bureau events page.